Celebrate St. Patrick’s Day With Family-Friendly Fun! Garrettsville - O’Henry, O’Malley, O’My! 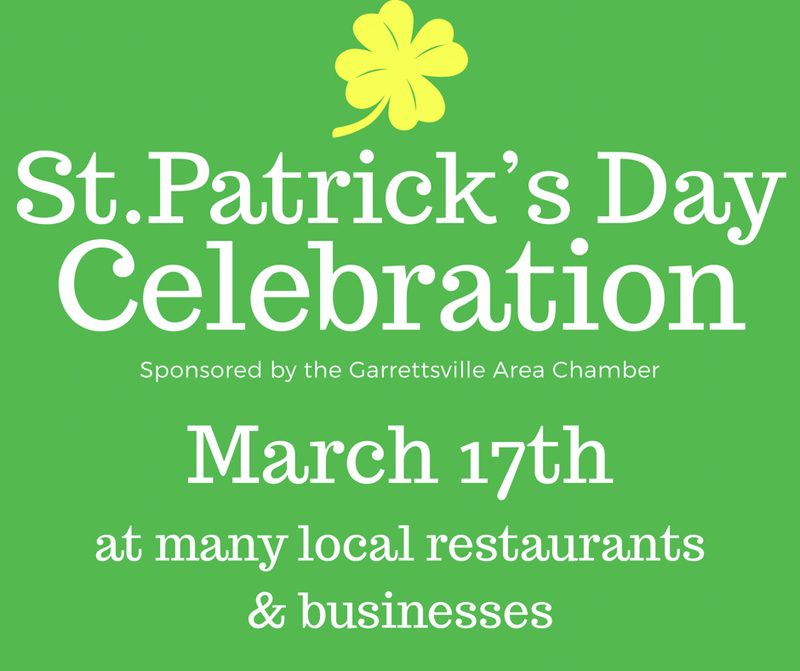 Grab your friends and neighbors, and follow the road to Garrettsville on Saturday, March 17th for a fun-filled St. Patrick’s Day you won’t soon forget. And that’s no blarney! The historic village of Garrettsville knows how to celebrate, and they are starting first thing in the morn’. Start off with a hearty breakfast, and a beer if you are so inclined. Sean’s Pub, Miller’s Restaurant, SkyLane Lounge to name a few are serving up morn’ meals that will help get you started for the daylong celebration. If you can’t start out celebrating with breakfast, how about the mid day meal or evenin’ sup. The area restaurants just keep cooking up the specials all day long. The best melt-in-your mouth corned beef can be found right here in Garrettsville. Many area businesses will be serving up all your favorites. For those seeking less Irish-fare, McDonald’s, Dairy Queen, and Cellar Door Coffee Co. are also great options.